After hours email assistance available. 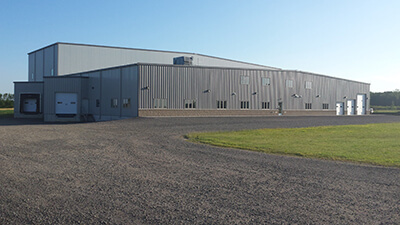 Engineered Specialties, LLC is based in Central Wisconsin. We manufacture and distribute the best compressed air systems available. We have lots of inventory in stock, are almost NEVER beat on price, and usually ship same day. As Bible believing Christians, we believe that all hope and salvation is found thru Jesus Christ. Have you lost hope? Concerned about your eternal salvation? We want to exceed your expectations with our products and service. If we fail you because we are human, we find it imperative to do our best to make it right. Our company uses what God has given us to further his Kingdom here on Earth. We support many organizations that spread the Gospel and help the needs of others. "For what it is worth, I replaced a combination of PVC/Iron pipe. I could not believe how filthy, rusty and dirty the insides of the iron pipe were. They had only been up about 2 years and used very little. I am so glad I made the switch to Maxline. From all I have seen your product is a winner and so are the people I've had the pleasure to deal with thus far. I look forward to future orders from Engineered Specialties.